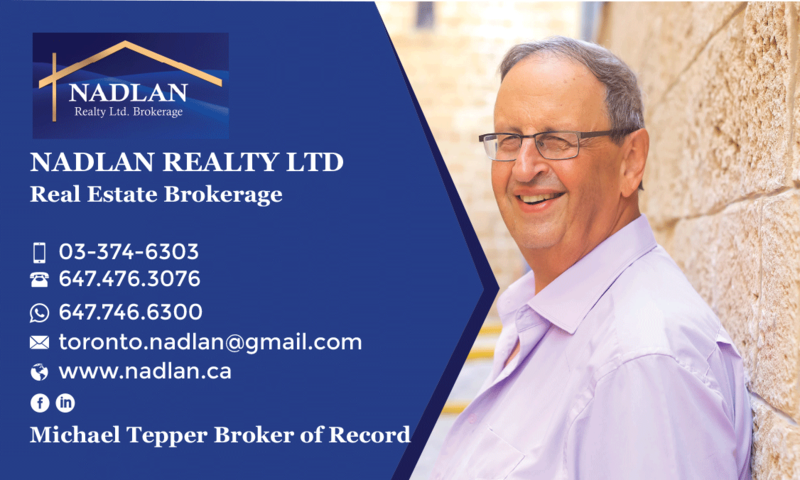 Disclaimer By entering my contact information I give my express consent to be contacted by 'MICHAEL TEPPER, NADLAN Realty LTD. Brokerage.' and or real estate salespeople on behalf of 'NADLAN Realty LTD. Brokerage.' to discuss potential services. Beautiful, Completely Renovated Lower Level Apartment One Bdrm+Den In Bathurst Manor. Separate Side Entrance, Large Windows In Every Room, Appliances Including A Washer And Dryer Set And Stainless Steel Kitchen Appliances. Located On A Quiet Street. Steps To Ttc (Short Bus From Wilson, Downsview, Finch), Parks, Schools And More. Price Includes Utilities And One Parking On The Driveway. For Sellers: From listing on TREB MLS, realtor.ca. zillow media websites and brokerages websites to negotiation and closing. For Buyers: From mortgage pre-approval to home buying and closing. For international investors: From property purchasing to property management of your properties in Toronto and Vaughan Canada. For Brokerages in USA and Canada: Nadlan realty pays 35% referral fee for referring clients. Michael Tepper works with buyers, sellers & International investors. 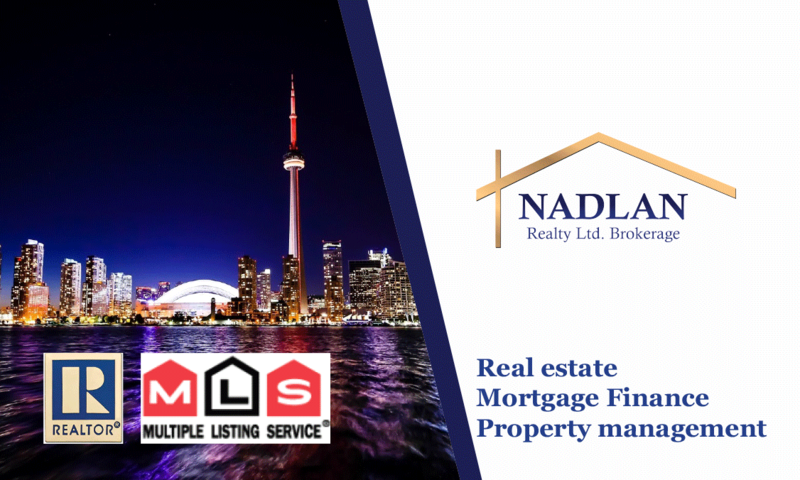 Welcome to NADLAN Realty Toronto real estate website, if you are living in Toronto or Vaughan and consider to move, or if you move to Toronto from another city, province or country you will find here relevant information for you. Toronto MLS listings homes and condos for sale or rent. You can search by map. For investors in Toronto real estate that want to buy new condos or pre-construction condos. As a real estate professional, Mr. Tepper will make every effort to find or sell your home in a timely and professional manner. Customer service and helpful advice. He regularly attends seminars and courses that help to address and serve the needs of clients better. Remember, the sale or purchase of a home can be a very overwhelming experience. As a professional to help make your real estate transaction easy, informative and successful. Please call or e-mail me with any questions you may have. I look forward to working with you. Let's TALK. Parking your real estate license with NADLAN Realty. Advantages of parking your RECO license? - Keep your current full-time job. - NO franchise fee, NO desk fee, NO marketing fee, NO OREA fee, NO CREA fee, No Hidden fees. - If you are a member of TREB or other real estate board in Ontario. You can KEEP your membership or you can cancel it.